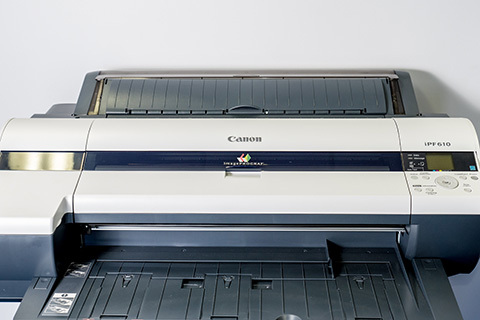 Brilliant Technologies sell, lease, rent and service Canon’s new release of photocopiers and Wide Format Printers, including the new line of Canon multifunction devices. 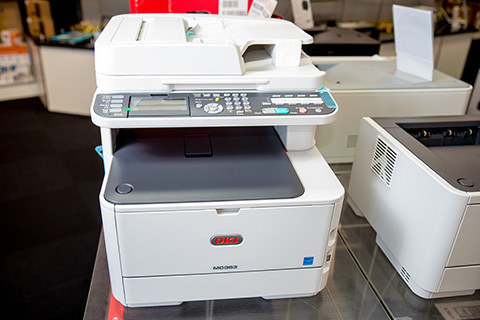 The multifunction units provide your business the ability to copy, print, scan and fax on the same device, allowing seamless integration into your network environment. Our Cairns printer range includes everything from the smallest, standalone desktop printer, to Canon’s wide format ink printers. A recent addition to our print sales and service range is Oki A4 & A3 mono and colour multifunction printers. See our range instore or Contact Us. The new generation of Canon photocopiers are designed for businesses looking for smart digital transformation. From A4 mono desktop models to advanced A3 colour copiers, Canon has an option for you. Want to scan invoices straight to your accounting program? Canon photocopiers allow you to achieve more, you’ll be impressed. The Canon IR Advanced series of photocopiers joins your network to make sharing information easy. Every device has a user-friendly, simple touchscreen panel with built in video manuals and an amazingly small footprint. Green friendly on Sleep Mode, Secured with password functions and print from mobile make Canon an easy print choice. Need a toner? Dirty copies? Or constant paper jams? 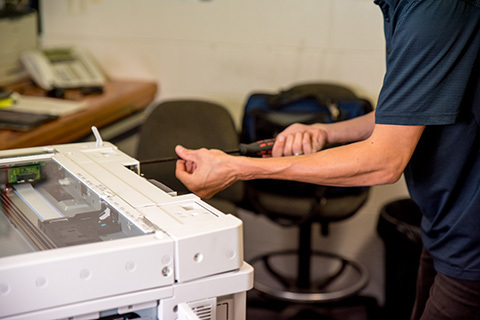 Our maintenance plans take the worry out of running your copier as you can contact us for any issue, even Load Paper errors. You can love your copier again. In fact with new reporting software, that toner will probably turn up before you know it’s needed! Now that’s peace of mind. Why finance? If you want better cashflow, flexibility to grow or ongoing access to latest technology then finance is a great option for you. CFA offers simple, competitive finance with a 4 hour approval time with flexible options. Don’t miss out on an opportunity, let us develop a finance plan to suit you. 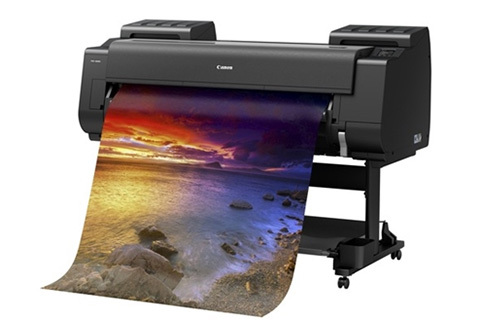 Canon has an outstanding range of wide format printers, now available at Brilliant. The newly re-formulated LUCIA pigment ink system increases the achievable color gamut over the previous image PROGRAF color series. These printers are the premier solution for busy agencies, design groups and copy shops. We are a sales and service partner with Oki Australia. OKI offers a wide range of solutions, including digital colour and mono printers and multifunction products, backed by a 3 year warranty on LED-based products. Its product line also includes dot matrix printers, various options and accessories. Be sustainable and recycle. At no cost to you, we will arrange for printer inks, toner cartridges and laser printer cartridges to be recycled through Planet Ark. Visit their website or contact us direct 07 4052 5900. 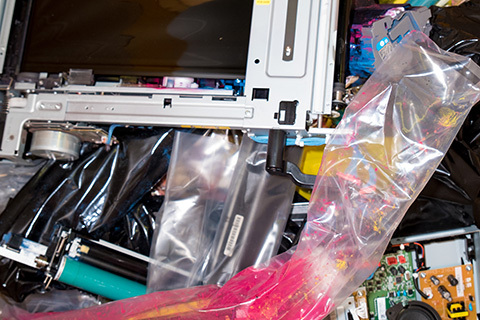 End of life printers are recycled through TechCollect. We can arrange it all for you. Our showroom on Mulgrave Road is stocked with a wide array of printer toners and inks, including wide format printer inks. 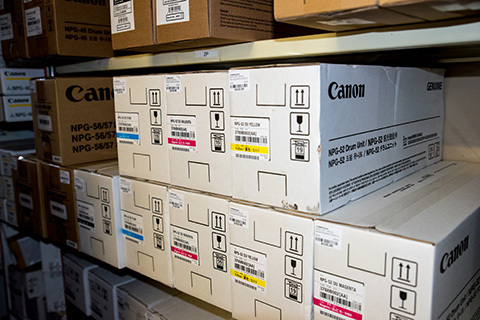 We stock all Canon inks, laser cartridges and copier toners. Other inks and toners available overnight. We also have specialty papers. 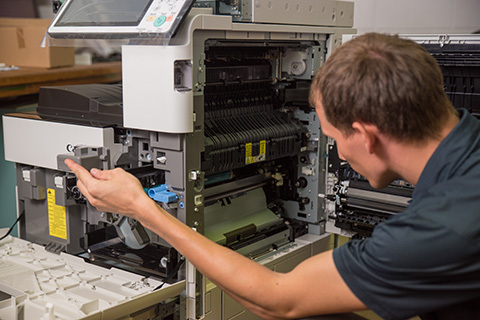 Managed Print Services (MPS) is the supply and management of office photocopiers and printers, with one monthly bill. It standardises the print fleet, reduces costs, creates standard document management solutions and provides secure Mobile device printing. Brilliant Technologies work with you to develop an MPS which optimses processes and workflows. As well as managing your print fleet, it helps to meet the information challenges of today and beyond. You don’t have to be a large business to gain savings of up to 20% with a Brilliant MPS. Any size business can benefit from an optimised print fleet, document management processes, mobile printing and a known monthly cost. 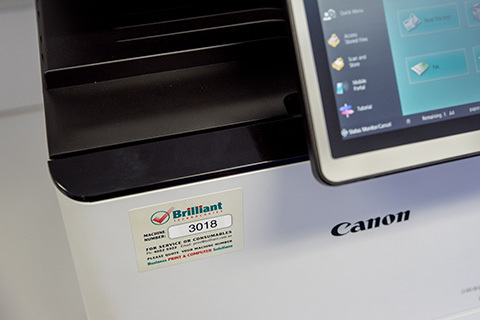 uniFLOW is an integrated print, scan and device management solution, designed to increase cost control, improve productivity and get the most out of your Canon device fleet. IRIS is an advanced suite of capture tools that scans and extracts key information from documents to connect and integrate with your back office in real time. By automating your manual processes, IRIS unleashes new heights of efficiency, and enables faster, more informed decisions for better results across the board. IRIS can benefit core business functions such as finance, legal, IT and any highly manual or complex processing environment. Minimal training and zero frustration. The future of electronic document management.